My husband had a very special birthday last week and to commemorate the occasion, I decided to get him a coconut cake. I could have made it, but he is always mentioning how much he misses his grandmother’s coconut cake and I didn’t think I could get close. Enter Angela Saban. 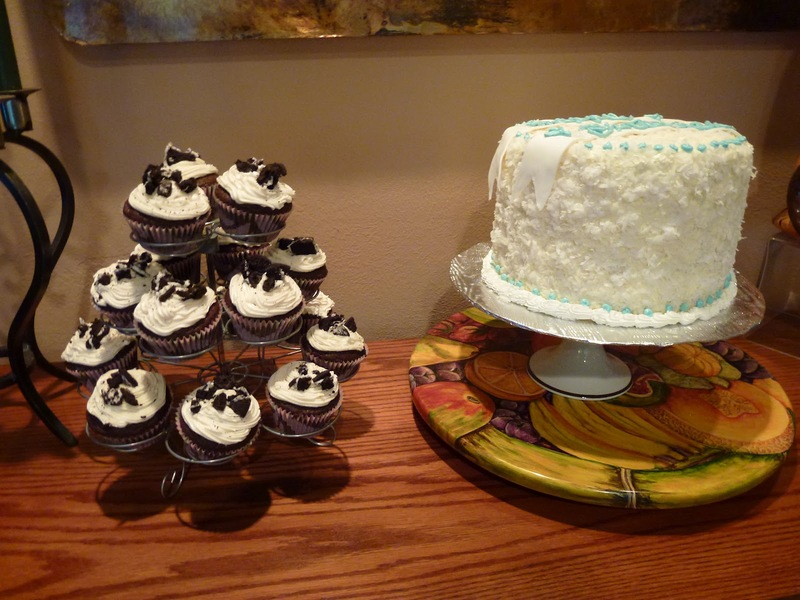 I’ve have tried many of her cakes and treats, all of which are gluten free and amazing. I knew it would be good, and I knew it would be closer to grandma’s than I could ever get. What I received was a beautiful, huge cake that lived up to my expectations and more. Husband was totally surprised and said it may not have been grandma’s cake, but it’s the closest he’s ever come to it. And since it was gluten free (and he is not) I think we’ve accomplished something here, don’t you? The cake was beautiful on the outside with a pretty ribbon on top with Happy Birthday written on it, edible blue glitter sprinkled on lightly and a generous amount of light frosting and coconut surrounding it. The cake inside was four layers high and yet it was light and sweet. 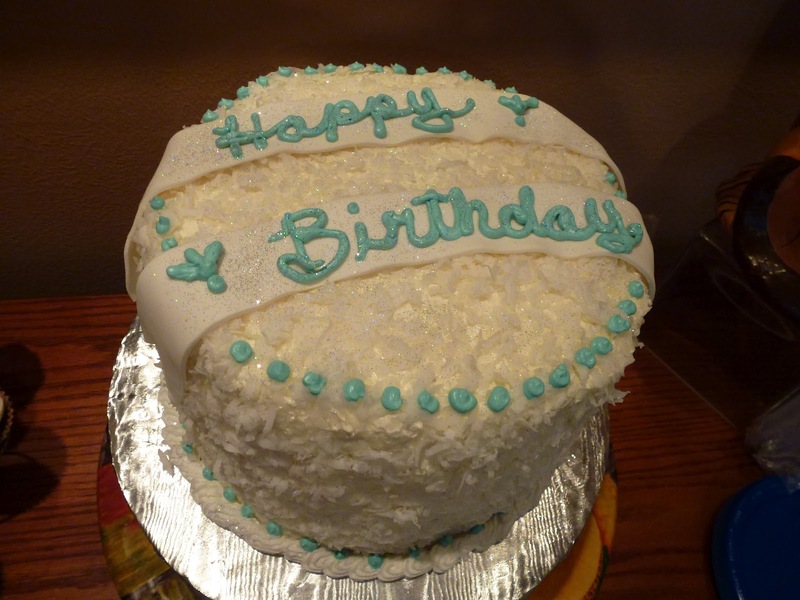 The cake was not too dense and not too sweet, making it a great combo for the light whipped buttercream icing. All white, all coconut and all amazing. The party was a combined celebration for the Husband and a wonderful 6-year-old boy who is very close to our family. My daughter made her famous gluten-free chocolate cupcakes topped with vanilla buttercream frosting and decorated with crushed K-Too cookies just for him and his friends. They loved them, and we even had a couple left to bring home and freeze for another day. The cake, as you can see, is sky high and even though there were 15 people eating it, we still had enough to leave a piece for the hostess, give a piece to my Mom, freeze a piece and eat some the next day. Angela did say it would feed 25 people and she wasn’t kidding! And just for the record, I don’t get anything for writing this. I paid for the cake and I will be doing so again on any other occasion where I don’t have time or inclination to make a cake. I’m just trying to come up with an occasion soon!